Doing the kind of work we like to do requires lots of advanced equipment. 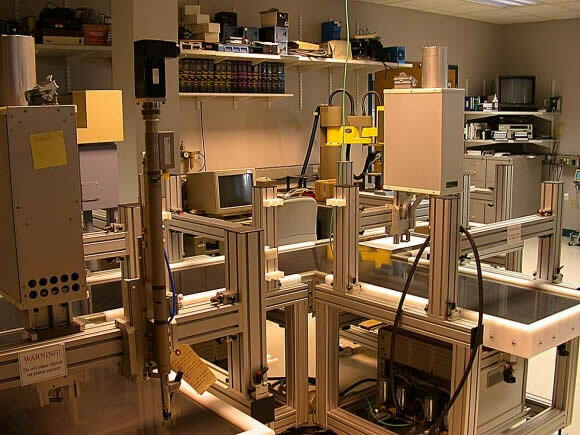 Fortunately, we got off to a very good start at the beginning of 1994 with a very large donation of equipment from the IBM Thomas J. Watson Research Center in Yorktown Heights, New York. 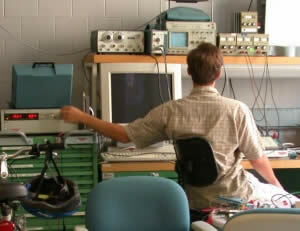 This gift includes several workstation, personal, and realtime computers, three IBM SCARA (Selective Compliance Assembly Robot Arm) robots, a Unimation PUMA 560 robot, a two-arm IBM cleanroom electric cartesian robot, several machine vision systems, planar motion systems and several micro-robots including two IBM Fine Positioners and four IBM Magic Wrists. 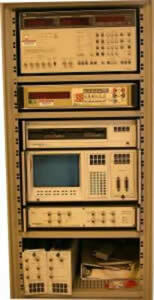 Test equipment includes a number of high-speed digital oscilloscopes, spectrum analyzer, structural dynamics analyzer, and two laser interferometers. 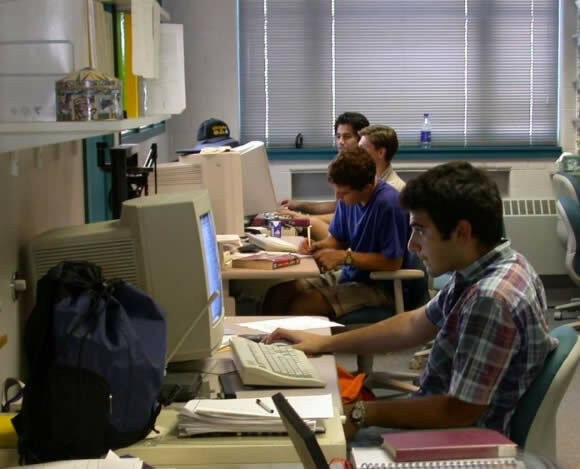 Several other Sun Microsystems and Silicon Graphics UNIX workstations, personal computers, and real-time computer systems are available within the laboratory. 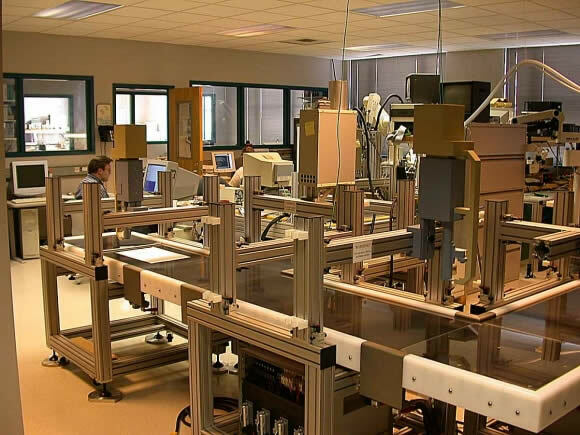 Available software includes ProEngineer and SolidWorks modellers, Tango and Protel circuit board design packages, Working Model 2D and 3D, various graphics packages, and VxWorks, LynxOS, and QNX realtime operating systems. We also have lots of green Lista cabinets whose drawers are chock full of servomechanisms, precision stages, cameras and optics, and electronic and mechanical parts. View across the systems room with our growing minifactory in the foreground. 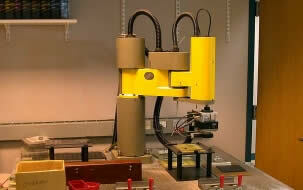 One of our two redundant coarse-fine robots. Testing sensors and finding signals in the noise. 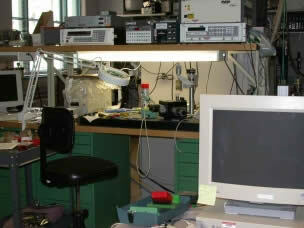 Our Rhex machine resting on the bench. Views in the technology room where we make things. 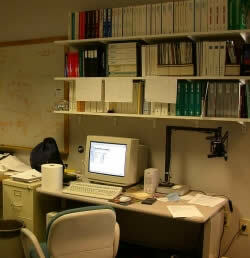 Here's where we surf the web and develop algorithms and software. Driving RHex around on the carpet with a radio link joystick.